Albert Oehlen has redefined the medium of painting in an international context beyond the hype of the late seventies and eighties. 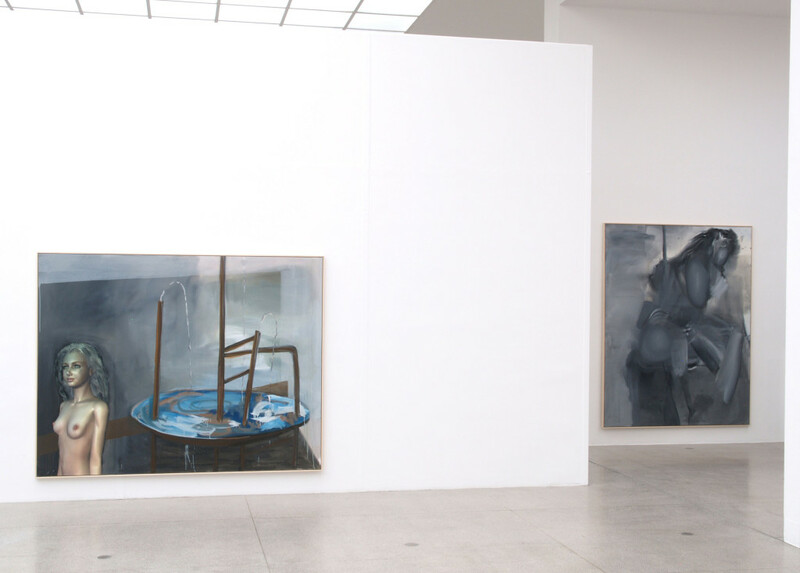 The artist is not concerned with continuing and defending a traditional field of art; he rather intends to open a discourse on the panel painting vis-à-vis the new media and also vis-à-vis his personal history. Jokingly and with assumed indifference towards the form of presentation as well as with surprising shifts of meaning, he comments on predominant values and ideologies within the world of art and on the classic concept of the picture. In this process, he employs both figurative and abstract elements. 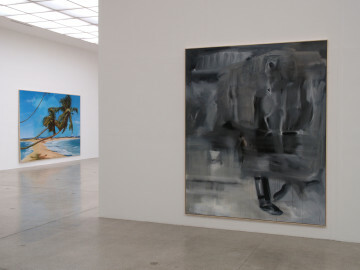 In the Secession, Albert Oehlen will present 24 paintings of middle and large size, created especially for this occasion. 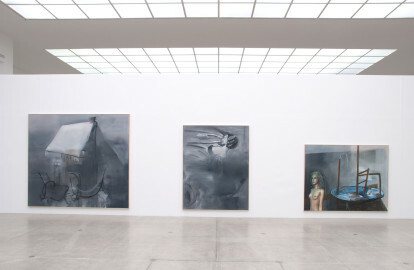 His new body of work can be divided into two groups, which communicate with each other in the form of a complex dialogue. 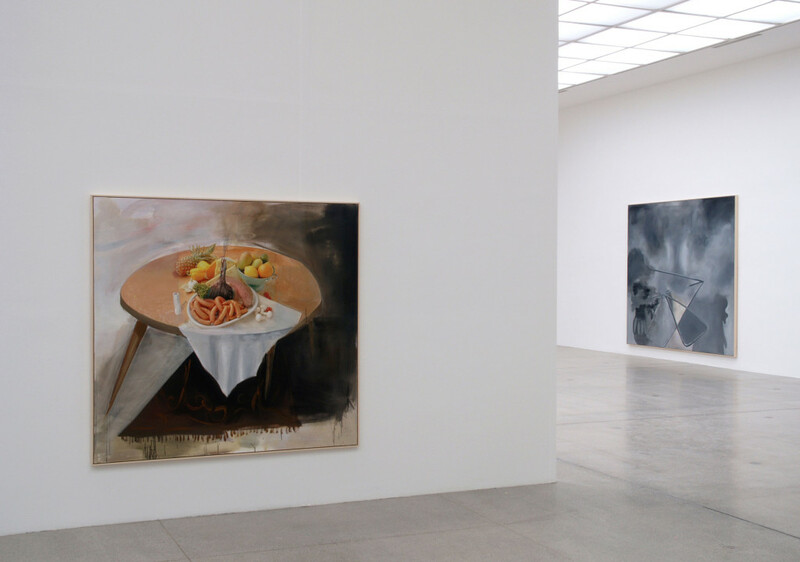 In a series ranging from the everyday to strange-looking interior depictions, Albert Oehlen develops a new procedure by mixing photography and painting in order to break up the limits of these media and their ethics. He employs an iconoclastic repertoire from very different sources having been assembled by him over the course of many years. 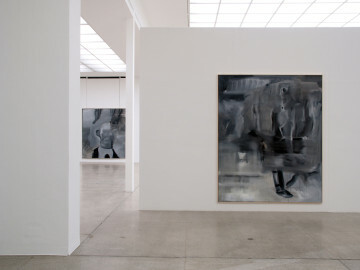 These photographs and photographic segments are glued directly on the canvas and are integrated by the artist’s large-scale brushwork. 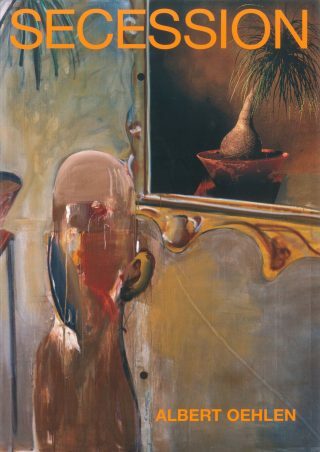 Here, the process of gluing refers not only to a basic availability of picture models, but it also represents by its deliberate unprofessionalism and by the cheeky shortage of the painterly translation a criticism of the traditional purity rule within painting. The contrast of the material on the picture surface with the unity of the presented motif endows the pictures with their specific tension. In a different group of paintings, Albert Oehlen continues his series developed in 1997, where he examined the spectrum of the colour grey. By their shadowy emerging and loss, the figures formulate a dualism of the striving towards dissolution and the simultaneous wish for form. In changing test arrangements, Albert Oehlen thus raises the question, what meaning and function the picture object might be able to carry beyond style and mystifying explanations. 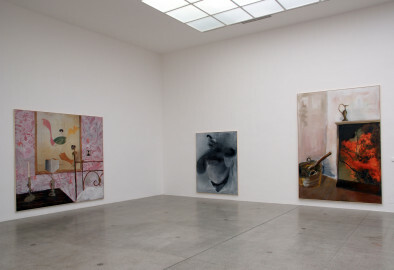 Albert Oehlen lives and works in Switzerland and in Spain.